. استمتع بالخدمات الراقية والضيافة التي لا مثيل لها بهذا الفندق في كورال كوست. يقدم هذا الفندق العديد من الخدمات الكفيلة بإرضاء أكثر الضيوف تطلباً. تعكس غرف الفندق البالغ عددها 26 المنتشرة في 2 طوابق جواً من الدفء والألفة.خدمات عصرية مثل اتصال لاسلكي بالإنترنت, غرف لغير المدخنين, مكيف هواء, مكتب, شرفة/ تراس موجودة في بعض الغرف المختارة. يقدم الفندق خدمات رائعة كمثل حمام سباحة خارجي, سبا, مسبح (للأطفال), حديقة, رياضات مائية (غير آلية) لمساعدتك على الاسترخاء بعد نهار طويل من النشاط والتجوال في المدينة. إن Bedarra Beach Inn هو خيار ذكي بالنسبة للمسافرين إلى كورال كوست، بما يوفره من إقامة هادئة ومرحة. تُطبَق رسوم إضافية على بطاقة الائتمان بنسبة 3% لدفع أي مصروفات عارضة في العقار. We had a very nice stay at Bedarra. The location is very nice with beautiful views of the ocean and nice beaches. The restaurant in the hotel is very good and has a big variety of meals. It's a great place to relax and detach from the everyday business. nothing was too much trouble, clean and good facilites, good restuarant, staff are amazing. Free foot massage is great, you certainly want more afterwards. Beautiful beach and nice walk along the coast with other restuarants to choose from if you fancy a change of scenary. Good place at the beach of Coral Coast. Equipment for snorkling for free. Restaurant is very good. The spa is great. And the staff is very nice and kindly. Should stay here again. If you want an hotel quiet and nice with a good restaurant then this is the place to be. We have loved every minute we stayed in this place. We been welcomed by singing a song and complimentary fruit juice to start with. Rooms were large and very clean. Staff is very friendly and helpful. 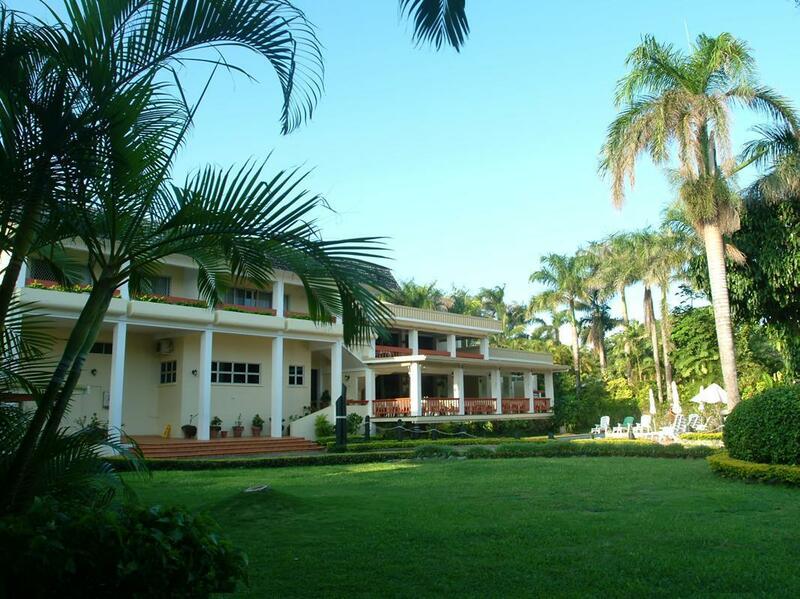 Great location by water and resort provide snorkeling gear and kayak to explore your hobbies. Highly recommended. WOW WOW WOW... We stayed here for my 50th bday. it was a group booking and i cant say enough about this place.. The staff are incredible, the food delicious, the rooms and resort spotless clean.. i would absolutely recommend this resort to anyone who wants to feel like there part of a famiy, and not just a number or face.. 10 out of 10..
Bedarra is the perfect place on the Coral Coast! The staff are friendly, helpful and knowledgeable. The food is served with style and is delicious. The rooms with an ocean view are spacious, well-appointed and extremely comfortable. Snorkeling in the lagoon is a delight - colourful fish, interesting coral. Six days weren’t enough! John and Jeanette, Sydney. Awesome staff. Brilliant attention to making guests feel welcome. Chef was superb, from grills to curries, brilliantly flavoursome dishes and Masterchef presentation. Would definitely return to Bedarra and recommend it over and above every other resort on Coral Cove. I can't wait to come back. Vinaka Bedarra. So glad we found this home away from home. Clean rooms, sparkling pool and a step or 2 from the beach but best of all was the staff who went out of their way to add a personal touch to every service. Far more intimate & better value than the bigger more expensive resorts close by. I would definitely recommend a stay at the Bedarra Beach Inn. We stayed as a big family group across multiple rooms for a nearby wedding at the Outrigger (super close! Less than 5min walk away). The staff were so lovely and got to know us all by name. The entire place was immaculately clean. The food was lovely and reasonably priced. Many travellers will walk to the Bedarra for happy hour or dinner however it’s not overly busy. One thing that we loved was that we purchased fresh seafood from a local market and the staff were kind enough to cook it for us. We were more than happy to pay a cooking fee per person and sides were also provided. It was honestly the best seafood I have ever had. Especially the chilli mud crab! Well done to all at Bedarra Beach Inn. We will definitely be back soon! The hotel is older style but extremely well maintained. The staff are friendly and helpful. The hotel restaurant is ok, and there are other bars restaurants easy walk along the road. The children spent countless hours swimming on the reef/beach in front of hotel. Just an overnight stay but we loved the room with the spacious bathroom and large bed. Food was great but it's a shame breakfast wasn't included. Close to the beach and a nice pool. Highly recommended. The staff, the location and the food. Our stay at Bedarra was wonderful. The staff were so friendly and helpful. The location was perfect, right on the water. The food was delicious and not too expensive. Definitely value for money. We will be back. What can I say? 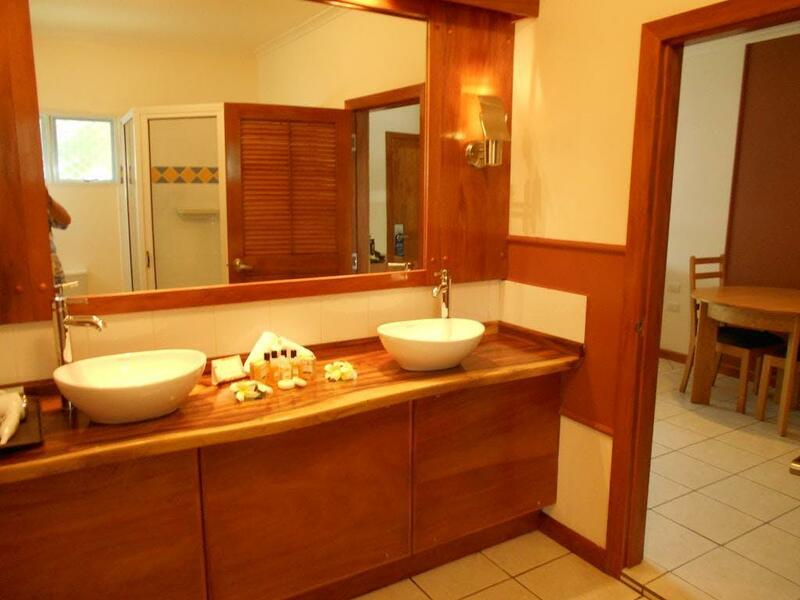 This Hotel is professional run, welcoming and in an ideal location on the Coral Coast. My wife and I enjoyed 3 nights in a Deluxe room which was modern well appointed with comfortable furnishings, hot shower, good aircon and clean. The reception staff are professional managed and polite. The Bar and waiter staff are friendly and great singers! It is like being a part of a family, you feel welcomed and at home. The dining is served quickly too a good standard. All menue items I tried were well cooked, tasty and good value. I didn't even miss the fact there is not TV in the rooms. The bar has a happy hour every day and makes great cocktails, my wife loved the one called "Mudslide". The pool is nice for a quick dip, but just walk across the quiet road and there are deck lounges and the best sunset view I experienced in Fiji. This is great hotel for that romantic break for couples of all ages. The food is tremendouus at dinnertime and the rooms are huge. The best feature of the hotel is the staff.Very welcoming and make you feel 'right at home. The delux room we had,number nine, had fabulous views across the lagoon and out to sea.The deluxe rooms are enormous and very functional,more like a studio apartment. The hotel's restaurant has people coming from other hotels at dinnertime for the imaginative dishes prepared by the chef. Swimming was limited to the hotel's pool as the lagoon was very shallow and littered with sharp dead coral and stones making difficult to walk through the water. We would stay here again if we return to this area. We stayed here for 4 days as a rest after two weeks motorcycling around NZ. It certainly lived up to expectations although the bar did close a little early ...9pm! Great food and very friendly. The staff makes this resort 5 star. Location is great but can do with a few more facilities like a clock radio and maybe tv in rooms. Otherwise great place to relax and unwind with great food and exceptional staff like Betta, Kara, Sereeana, Mere to name a few. Would have no hesitation to visit again. Bedarra Beach Inn was an amazing little slice of heaven. It is located right across from the beach and a five minute walk to The Outrigger, where I was attending a wedding. The staff are very friendly and the food is well priced. A ten minute walk up the road you will find the Sitar an mix of Thai and Indian cuisine and a money exchange. Great place to stay, could not have been happier with my choice to stay here. People really do make the difference. From day 1 management and staff know you by your 1st name. It is like visiting old friends or family. Nothing is ever too much trouble and everyone goes out of their way to ensure you have the best time ever. If you want a hotel where you can relax with minimal distractions amongst the best people then pick the Bedarra. Location is great with its own private beach area with stunning views. Food is great attracting many guests from the Outrigger Resort situated 500m away. There are 3 restaurants within walking distance if you prefer an alternative place to eat. Extensive tours available through the hotel and the hotel has a contract with a local taxi operator meaning a taxi is available when required. Food and drink prices are very reasonable and circa 50% cheaper than those at the Outrigger Resort. Having never returned to the same place twice (too much to see in the world) this is one place I would make an exception for!! !